This stunning UK supplied Triumph TR4A IRS has covered less than 1000 miles since a thorough and documented restoration. 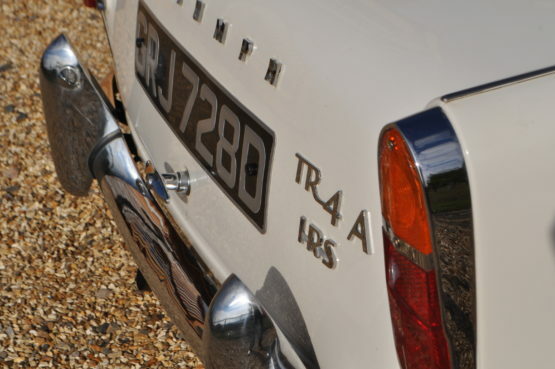 GRJ 728D comes with a good history detailing restoration work, many invoices and a copy of Triumph World Magazine from June/July 2016 where the car and rebuild are featured, importantly it is fitted with its original engine with overdrive on third and fourth. 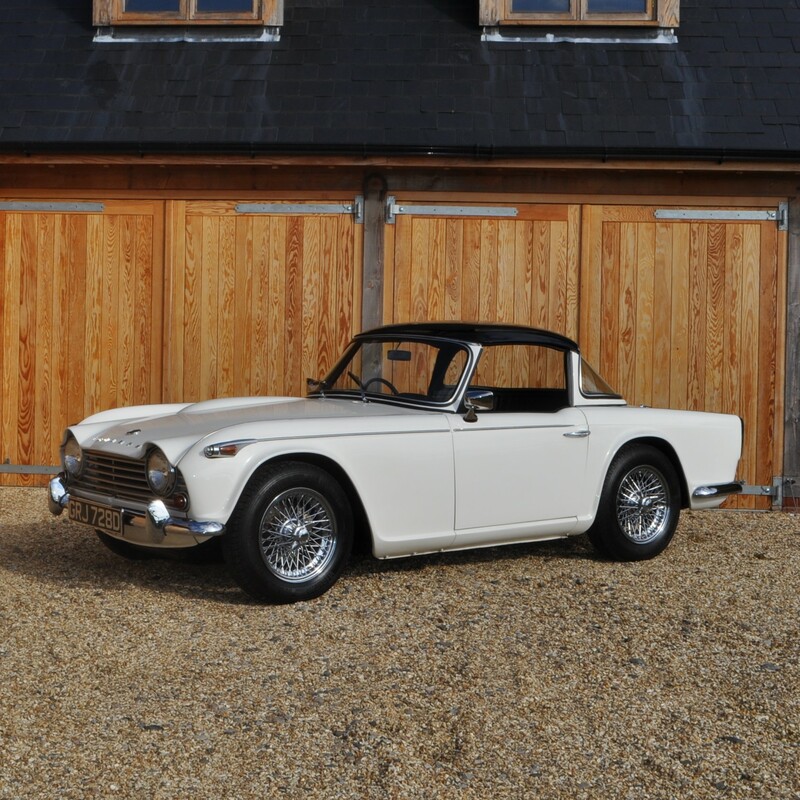 Discovered in 2012, this wonderful TR4A had been off the road since 1982 requiring a restoration. Photos in the file. A full strip down enabled the chassis to be shot blasted and coated with anti-rust and the shell then treated to new floor pans, inner and outer sills, B posts, rear and front valance, new front and rear wings, boot lid, bonnet and door skins. 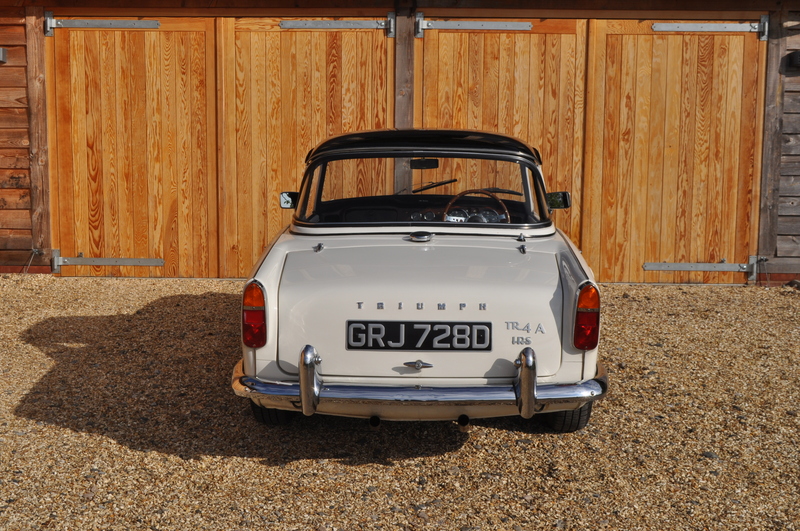 The body was beautifully rebuilt, and the bare shell was then superbly painted. The TR4A was built up with new grill, wing beadings, various new and re-plated brightwork and new chrome wire wheels and tyres. 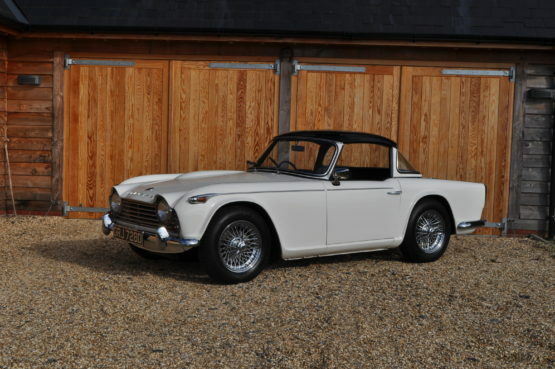 The interior was re-trimmed with freshly upholstered seats, new carpets, door cards, glove box, steering wheel and dashboard fascia and the electrical system treated to a new wiring loom. Basic mechanical work included a new stainless steel exhaust system, clutch plate, slave and master cylinders, new brake discs, callipers and rear shoes and the cooling system re-conditioned with a new radiator, water pump, thermostat and all new hoses. 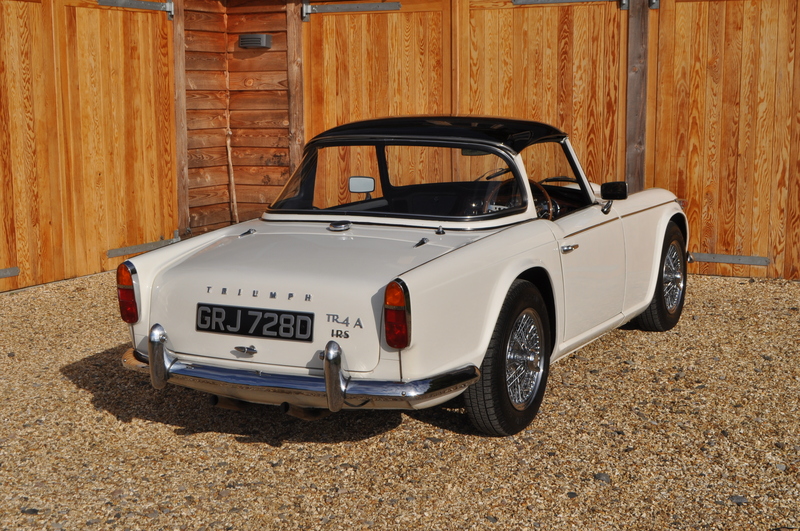 In December 2017 a further £8,000 was spent with Moordale Motors, Triumph restoration specialists on various works to include an engine rebuild. The cylinder head was converted to run on unleaded and the block treated to new pistons and liners. The engine was treated to a new timing chain and tensioner and whilst removed from the vehicle the gearbox and overdrive were overhauled. Since completion of the rebuild just 800 miles have been covered and the car is driving superbly. 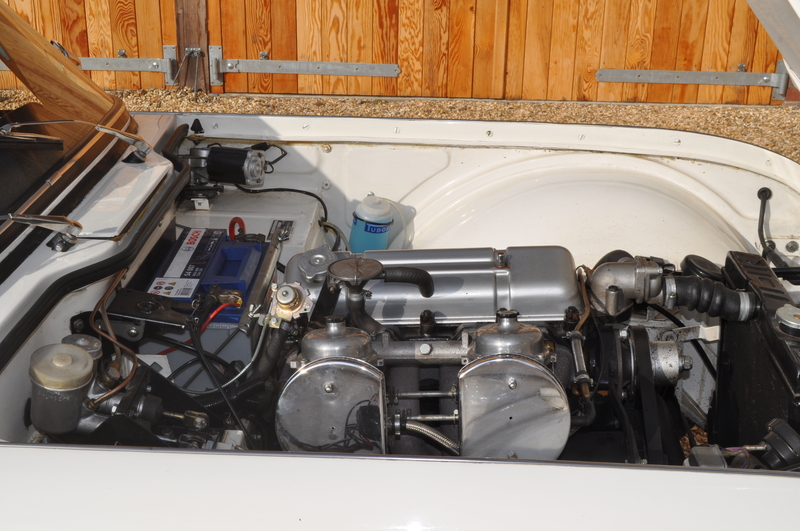 As expected with a freshly rebuilt engine performance is impressive and the unit retains excellent oil pressure. 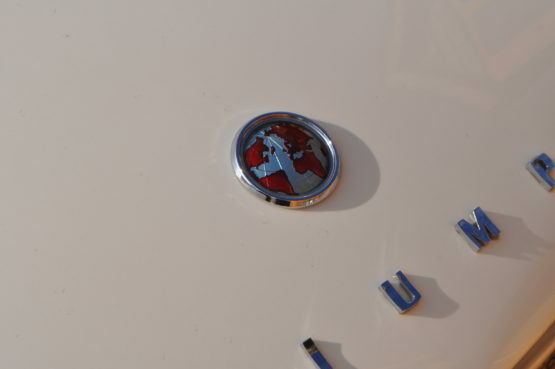 The gearbox is excellent, the overdrive comes in and out smoothly. 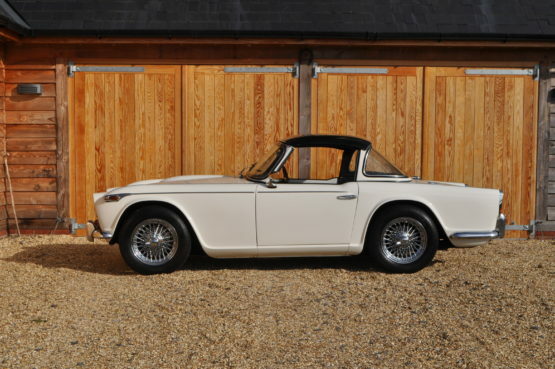 It also benefits from a most recent service and oil change in July 2018 where a further £1,700 was spent. This is an impressive looking car and on the road, it matches expectations.